This year Ypsigrock blows 21 candles. The first boutique festival in Italy has become the international reference point for all rock music enthusiasts: so Ypsigrock is a must-see event, not only for the level of artists participating but also for the frame where it takes place: the splendid village of Castelbuono. The festival takes place in the most beautiful places of Castelbuono, a medieval village within the Regional Natural Park of Madonie and a few kilometers from one of the most famous Sicilian beaches, Cefalù. 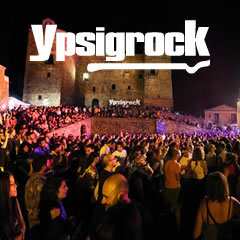 In 2015 Ypsigrock won the Onstage Awards as the best Italian festival, in 2016 it was selected as one of the best events in Europe as the Best Small Festival. Ypsigrock is therefore the special occasion to spend a fantastic summer weekend, between authentic pearls of the Mediterranean and the breathtaking mountains of the Madonie, in addition to the excellent quality of the typical food and wine offer and the renowned welcome spirit of Castelbuono’s community. Ypsigrock is an unusual and dynamic experience that over the years has reinterpreted the concept of festival in Italy, enhancing the potentialities of a dense history of stories with unique style and refinement. To be in Castelbuono for many people means discovering the heart of an unexpected and spectacular Sicily: a journey through the artistic, natural and cultural beauty of the island.